The defense for the Oregon-based defendant claimed that the defendant had no offices or employees in Florida. As such, the company could not be sued in Florida. In response, the plaintiff countered that the court had jurisdiction because the Volt Lighting Group has a website that you can purchase products from and it is accessible to businesses and consumers in Florida. In reviewing the evidence, United States District Judge Steven Merryday rejected the plaintiff’s argument and ruled that Florida court lacks jurisdiction to hear this trademark lawsuit. Understanding the Law: What is Jurisdiction? In the most simple terms, jurisdiction is defined as the power to make binding legal decision and/or judgments. A court must have jurisdiction over the defendant and jurisdiction over the subject matter of the case, otherwise the legal proceedings will not be able to move forward in that venue. All legal claims should be filed in the proper forum. For individuals, jurisdiction is usually not an especially complex issue. For instance, a Palm Beach County resident cannot be sued in Alaska if they have never been there, do not own property there, and have no actual ties to the state. Jurisdictions and Business: Where Can a Company Be Sued? Determining whether or not jurisdiction has been established for a business can be somewhat complicated. We live in a globalized world. Often, companies have at least some ties to many different states. This raises an important question: Where can businesses actually be sued? The most important guidance on this comes from a 2017 Supreme Court case called BNSF Railway Co. v. Tyrrell. First, it should be noted that a company can always be sued in its home state. A company that is primarily based in Florida can be sued in Florida. In addition, there are certain circumstances when businesses can be sued in other jurisdictions. If a business has “sufficient contacts” in another state, then a plaintiff may be able to bring a claim in that venue. As was noted by the federal judge in this case, Oregon’s Volt Lighting has no employees in Florida. It has no office in Florida. The ability to access a website in another state is not, by itself, sufficient to establish personal jurisdiction for the purposes of a trademark infringement lawsuit. 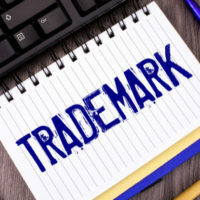 At Pike & Lustig, LLP, our Florida trademark litigation lawyers have the knowledge and experience needed to represent you in any type of trademark dispute. To get immediate help with your trademark infringement case, please reach out to our West Palm Beach law office today. To better serve clients, we also have a second office in Miami and meeting location in Palm Beach Gardens.